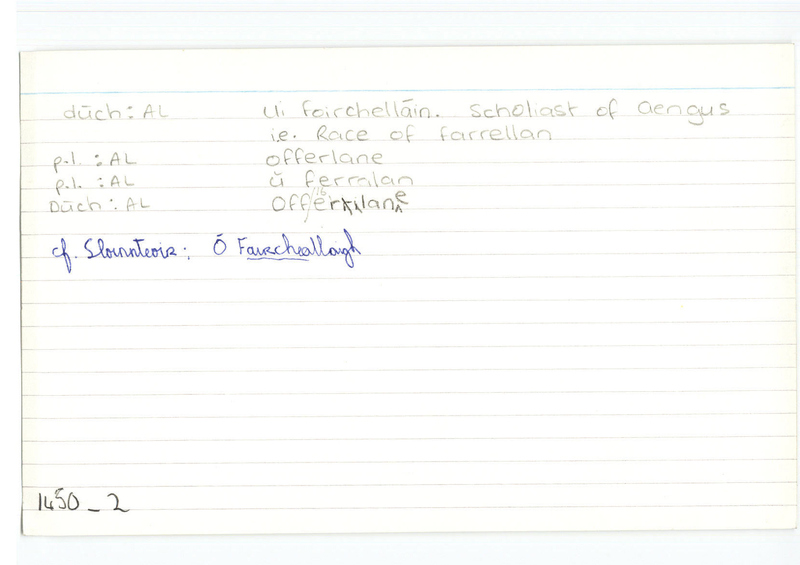 Féach bar An Choill Uachtarach (#125), bf Baile Uí Anracháin (#28429). Cf. bf Baile an Chaisleáin (#27819). · CPL, 14, 313 belonging to the monastery …of St. Saviour alias Dusque, O.Cist. Offerrilan - the name of an ancient tribe located there.